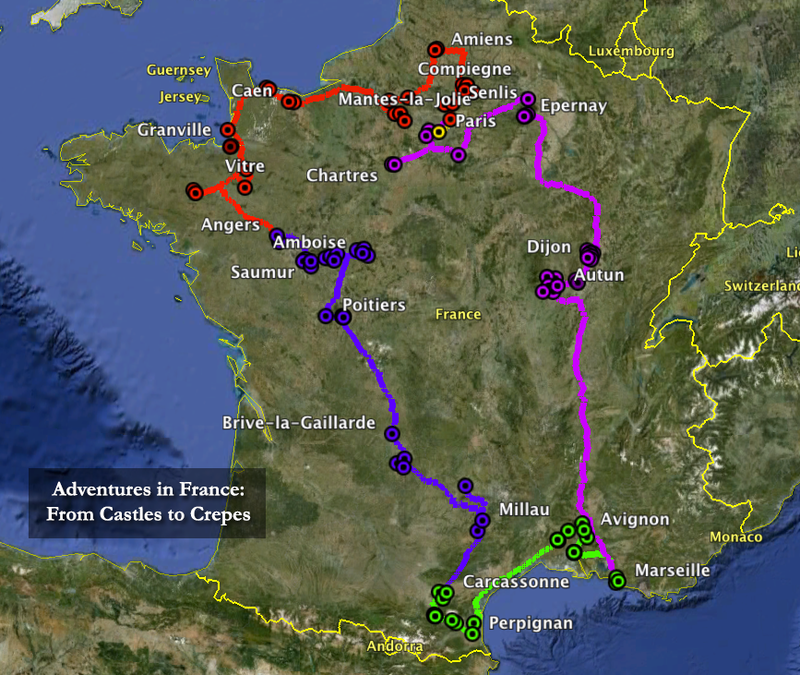 “Adventures in France: From Castles to Crepes” is a documentary travel film that takes the viewer on a whirlwind adventure around France as we scour the countryside for history, culture, food, & art. During this four week expedition, we guide the viewer around numerous monuments, castles, cathedrals, places of historic and cultural significance affording the widest possible vision of France. The following is a list of the current day to day itinerary – there may be some changes along the way – but it should be pretty accurate with things timed and dated very carefully. ** indicates visited (photographed but not filmed) in either 2000, 2002, 2004, or 2010. After much fussing and fighting I am very close to announce the next big project – this summer 2013 – France. But I am not ready to announce just yet – just get ready for the big news!